It’s a dubious honor that the metro area has held for 19 months, according to S&P CoreLogic Case-Shiller data released Tuesday. 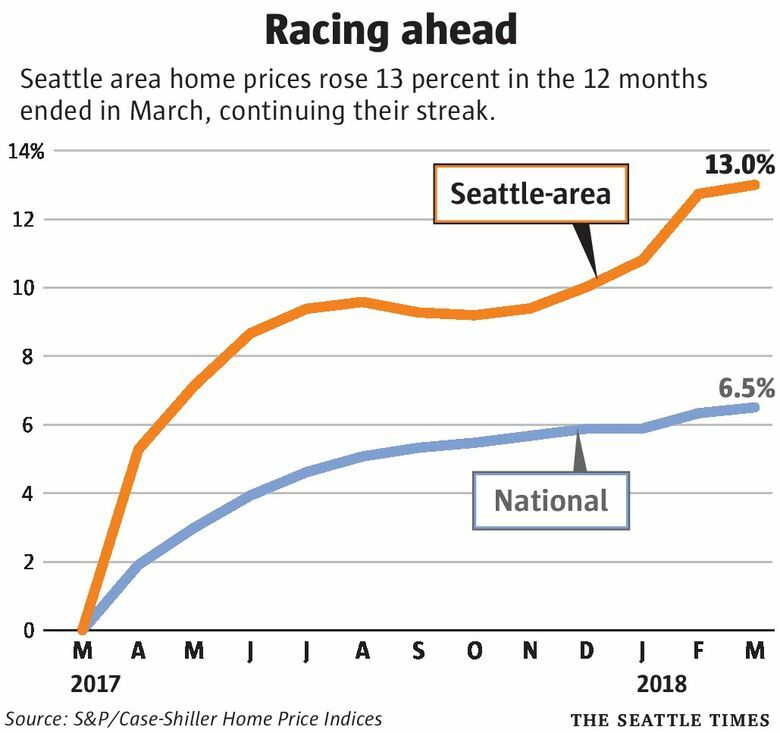 Seattle continues to lead the nation’s major cities in climbing home prices, a dubious honor that the metro area has held for 19 months. 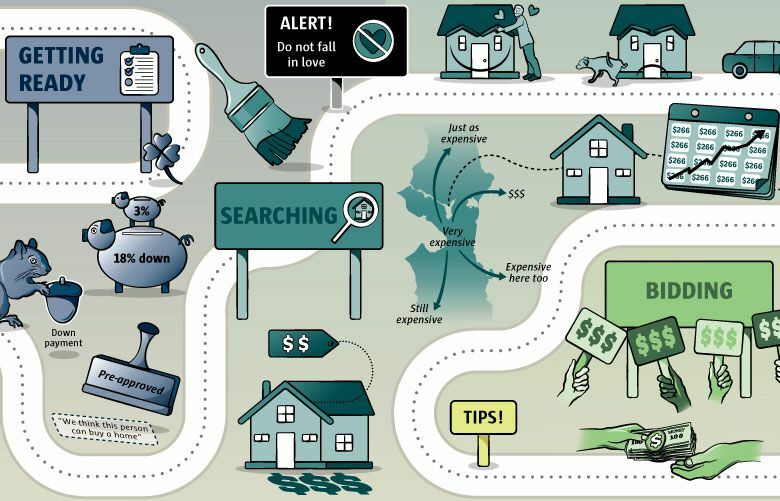 Seattle’s 13 percent year-over-year increase in median home prices in March was trailed by Las Vegas with a 12.4 percent increase and San Francisco with an 11.3 percent increase, according to S&P CoreLogic Case-Shiller data released Tuesday. 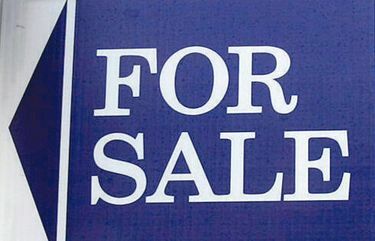 The 19-month run is unmatched since San Francisco’s home prices outpaced all others for 20 months during the dot-com boom, from 1999 to 2001. 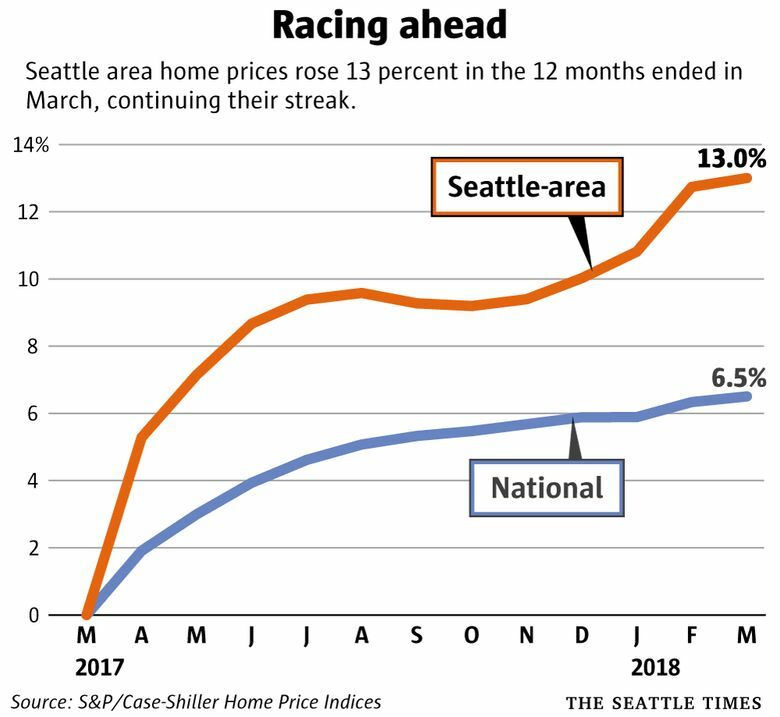 Prices in the top 20 metro areas rose by an average 6.8 percent over the 12 months ending in March, while a broader index of prices nationwide rose 6.5 percent — exactly half of Seattle’s scorching pace. Seattle is hardly alone in experiencing strong home demand and short supply, though. Nationally, buyers are paying a premium for ownership as the number of homes up for sale declines while mortgage rates rise. S&P reports that its 20-city index is now slightly higher than its 2006 peak, before the housing market and the economy crashed. Seattle crossed that threshold in February, S&P said last month. And 12 of the 20 cities logged price increases greater than in the previous monthly report.